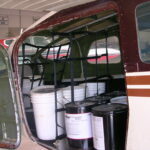 Cargo Conversions | Fliegen Works Inc.
Fliegen (flē gen) v. German To fly. Fliegen Works (flē gen werks) v. German + English To fly intelligently. Our Mission: To provide professional engineering services to the aviation industry in a timely manner. Summary: Conversion of a CASA C-212 from the passenger only configuration, to a combined passenger and cargo configuration, (Combi). Client Request: Get an STC to modify the CASA C212 for carrying cargo with passengers in the same cabin with multiple configurations. Project Summary: Fliegen Works Inc. provided a certification plan, compliance checklist, structural substantiation, smoke testing, and DER services in support of an STC project to convert the CASA C-212 aircraft from the original passenger-only or cargo only configurations to a combined passenger and cargo configuration. 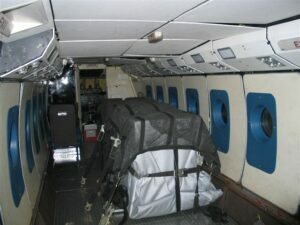 The project included a novel approach of using fire containment blankets to segregate the cargo within the passenger compartment using data from the FAA tech center. This project required the design and installation of new emergency equipment for installation in the cabin as well as a thorough Aircraft Flight Manual Supplement (AFMS). Fliegen Works coordinated with the FAA to grant an Exemption to allow the use of building type smoke detectors for fire detection within the fire containment blankets. This project culminated in TIA for demonstration of smoke detection per 25.857 and ventilation per 25.831. Fliegen Works built a smoke box per AC 25-9A appendix II, which generates a precise amount of smoke and is available for other projects. Results: STC ST02257AK approved for change in type design. Summary: Design and DER work to substantiate the installation of two bulkheads and cargo nets to restrain bucket cargo in a Cessna 206 aircraft. Client Request: To design and analyze a system to restrain buckets of agricultural cargo in the passenger area of a Cessna 206 aircraft. 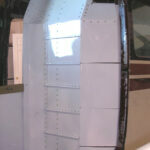 Project Summary: Structural substantiation of modifications made to a Cessna U206F by removal of the passenger seats and installation of cargo restraints, including a bulkhead behind the pilot, a short bulkhead between the pilot and former co-pilot seat, multiple seat tracks installed for attachment of cargo fittings, and a series of cargo barrier nets. In order to tie down the cargo nets and provide structure for the nets and bulkheads, seat track was installed along the sides and to the ceiling. More information on this topic is available to you at http://basementfloodcleanup.com.